Many households across the UK are a choosing an innovative, sustainable way to supply their homes with water: a water borehole. For residential properties, a water borehole is the perfect choice. Here’s why. Once your borehole is installed, your water will be free of charge. There is a cost associated with running the pump, and for sewerage if you’re still using mains sewerage, but these combined will still represent a significant saving on your current water bills. If you’re a high-volume water user, it’s likely that your borehole will pay for itself within a few years. 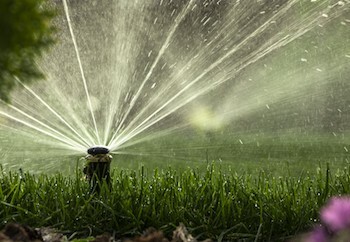 Without dependence on a water provider, you will no longer be at the mercy of meters, service disruptions, increasing tariffs and hosepipe bans. What’s more, you’re helping to maintain the mains water supply for those who don’t have the option of a private water supply in a carbon-efficient way. Once it’s installed, you’ll have a source of pure water that’s reliable and easily maintained. In most cases, it’s safe to drink and will reliably yield more than enough water to support your needs – you’re permitted 20,000 litres per day without a licence, when the average household uses 150 litres daily- average use is 150 litres per day per person. Boreholes are often associated with the countryside, but residents all over the country can benefit. This includes urban locations, including busy cities such as London. As long as you have the space for a long wheel based land rover with a horse box size trailer, you’ve got room for us to install a borehole. Once installed, a Dragon Drilling water borehole is unnoticeable. We’ll cover it with a manhole cover that can be safely walked and driven on, and is discreet enough that it won’t affect the way your garden or driveway looks. Residential boreholes can bring you great savings on your bills as well as a great way to add value to your home. Sustainability, economical for both the planet and your wallet, and a quick process; what more could you want? Talk to Dragon Drilling today to find out more about a water borehole for your property.